This guide focuses primarily on application of protective relays for the protection of power transformers, with an emphasis on the most prevalent protection schemes and transformers. Principles are emphasized. Setting procedures are only discussed in a general nature in the material to follow. Refer to specific instruction manuals for your relay. The references provide a source for additional theory and application guidance. 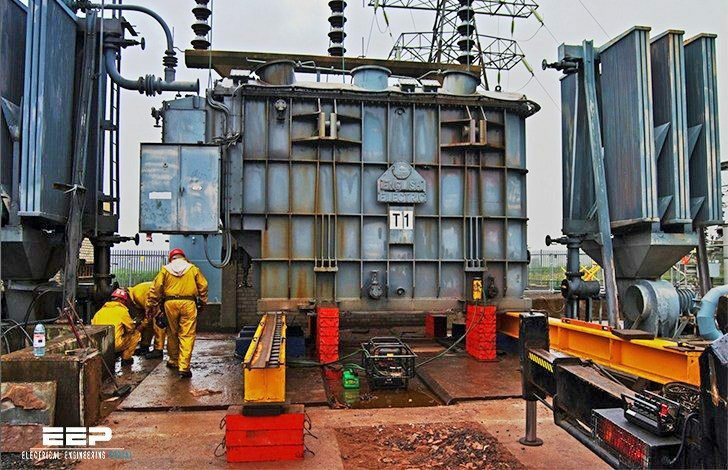 The engineer must balance the expense of applying a particular protection scheme against the consequences of relying on other protection or sacrificing the transformer. Allowing a protracted fault would increase the damage to the transformer and the possibility of tank rupture with a consequent oil fire and consequent personnel safety risks. There is no rule that says what specific protection scheme is appropriate for a given transformer application. There is some tendency to tie protection schemes to the MVA and primary kV of a transformer. The severity of personnel safety concerns and the possibility that a given protection scheme can reduce these risks. The danger to nearby structures and processes if a transformer fails catastrophically and the possibility that a given protection scheme can reduce the possibility of such a failure. The direct economic impact of repairing or replacing the transformer. The indirect economic impact due to production loss. Repair time vs. complete replacement time. The availability of backup power feed or emergency replacement transformers, and the cost of each option. The possibility that a given protection scheme can reduce the damage and resultant repair time, or that it can change a replacement into a repair. A tap changer flashover can ordinarily be repaired in the field, but if this fault is allowed to evolve into a winding fault, the transformer will need to be shipped to a repair facility; hence, protection that can rapidly sense a tap change fault is desirable. A high magnitude through fault (external fault fed by the transformer) shakes and heats a transformer winding, and the longer the through fault lasts, the greater the risk of it evolving into an internal transformer fault; hence, fast clearing for close-in external faults is part of the transformer protection scheme. Some transformers are considered disposable and readily replaced, reducing the need for advanced protection schemes. Transformer protection commonly includes some coverage of external bus and cable, and faults in these zones may expose personnel to arc flash hazards. Slow clearing protection schemes may be unacceptable from an arc flash exposure perspective. Fires in an indoor transformer may have high risk of catastrophic facility damage and even higher personnel safety risks, increasing the need for advanced high speed protection. The proximity of flammable process chemicals increases a need for protection schemes that reduce the risk of a tank fire. The failure of a transformer used in a large base load unit-connected generator may cause extended generation replacement costs. Even the loss of a small station service transformer can cause a notable disruption of generation and high economic consequences. Similar economic impacts may also exist at industrial sites. Some transformers are custom designs that may have long lead times, increasing the need for advanced protection schemes. Winding and tap changers account for 70% of failures. Loose connections are included as the initiating event, as well as insulation failures. The miscellaneous category includes CT failure, external faults, overloads, and damage in shipment. An undisclosed number of failures starts as incipient insulation breakdown problems. These failures can be detected by sophisticated online monitoring devices (e.g. gas-in-oil analyzer) before a serious event occurs. many many thanks; really you are an special case in what you are doing !!! rare people like you; again thanks.